Welcome to Theatiki Fife and Drum Corps! – To provide an opportunity for citizenship development and social development. The mission of Theatiki Fife and Drum Corps is to educate our members and the public about 18th century music and life by performing as a colonial fife and drum corps, which is as accurate as is practical in its music, uniform, and style. The Corps will be known for its unique musical style, exemplary conduct on and off the field, and good will toward others. Theatiki Fife and Drum Corps performances are directly tailored to the needs of the event. Theatiki Fife and Drum Corps performs easily in both concert and parade formats. Theatiki Fife and Drum Corps offers unique narrated concerts that inform their listeners on the history of the music, playing style, weaponry, and clothing. Concerts can be geared to any time frame desired. When performing multiple concerts at the same event site, Theatiki Fife and Drum Corps strives to provide different music and narration at each concert. If desired, concerts can also be performed without narration. Theatiki Fife and Drum Corps can also send only a few members if the entire Corps is not desired for your event. Theatiki Fife and Drum Corps performs in parades throughout the year. 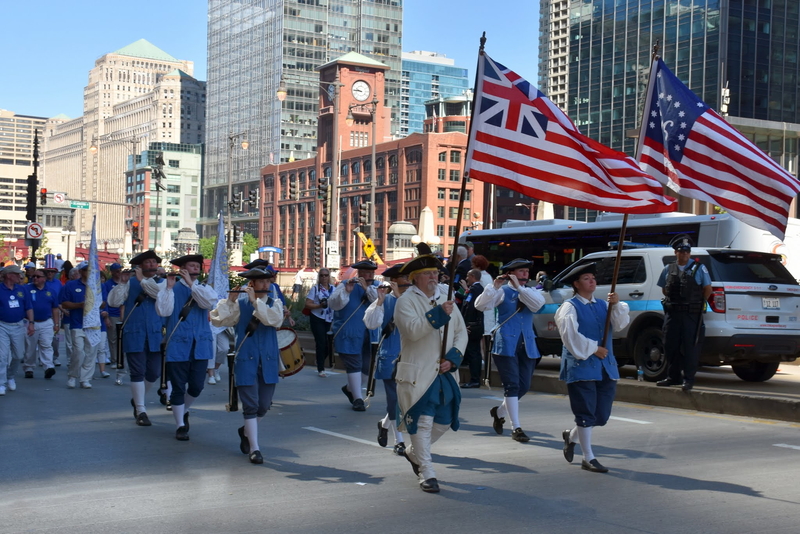 Although during a parade the audience only hears a small portion of the performance, the Theatiki Fife and Drum Corps strives to not repeat a song during the parade route. Theatiki Fife and Drum Corps generally maintains a pace of approximately 3 miles per hour. Musket fire can also be offered during parades. Due to the drums and muskets, it is generally not feasible to place horses directly in front of our behind the Corps.